If your pipes have frozen, then you know how much damage it can do to your home. If your pipes have frozen, then you know how much damage it can do to your home. Instead of wondering what to do, take some action. You can deal with frozen pipes on your own, but you also need to realize that sometimes, it’s better to consult the experts. Here’s some advice on how to do it. Frost: If you see frost on exposed pipes, then it’s a strong sign that your pipes have already frozen. Strange Odors: Noticing weird smells coming out of your drains? Ice could have blocked your pipes, forcing sewage and runoff back into your home because that is their only exit. No Water Service: Frozen water can’t move, so if your water suddenly stops working, it could have something to do with your pipes being frozen as well; check with your neighbors to see if their water is still running. Run the Faucet: Try running some water, especially on the hot setting. By doing this, you can help melt any ice buildups and start unfreezing your pipes. Once the freeze starts to thaw, more water will start running, and the pressure will also help break up the ice. 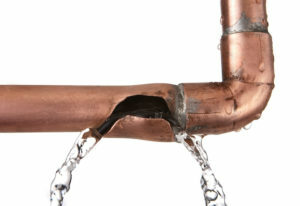 Heat the Pipe: Another trick is to add some heat directly to your pipes. Although you might think this involves using matches or a lighter, it’s much safer to use a heating pad, space heater or hair dryer instead. Keep Heating: Once you see the pipes start to thaw, keep applying the heat. Once your water regains its normal pressure, go around the house and check on the other faucets to see if it made a difference. You might be wondering how you can stop your pipes from freezing again. Before winter starts, add some insulation to your pipes. Then, make sure all cracks or leaks are patched up. Use some electrical tape that can add heat to the pipes and keep them warm. Make sure to seal up any crawlspaces. Then during the winter, let your faucets drip before freezing weather arrives. This entry was posted on Friday, February 8th, 2019 at 5:14 am. Both comments and pings are currently closed.